Everyone thinks, and should think, that their kids are great! However, there is no child, not even a single one, no matter how well behaving, who do not lose stuff and especially clothes because they are careless. So what can you do about it, except for nagging? The obvious answer would have to be to label all their clothes, or at least the most expensive pieces. Many people prefer markers or iron on labels, but personally I dislike the idea of using both these alternatives, not so much because it doesn’t look very nice (because it doesn’t) but because the second hand value of the close is much lower. 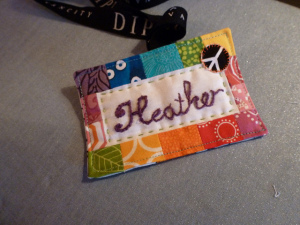 My preferred choice is therefore woven labels. They look much nicer and opposite to popular belief it is not a lot work to sew them in. This article was written by Johan Kjell from Nametapesandlabels.com. He is is a Swedish entrepreneur who have almost ten years experience from e-commerce. He’s been involved in numerous projects and currently he is managing the internationalization of the Swedish company Namnband, founded in 1978. The last two years the company have expanded into 10 countries and with Nametapesandlabels.com they are targeting the English-speaking part of the world. Nametapesandlabels.com offers woven labels in cotton and free shipping worldwide. Users have the possibility to make their own personalized and seeing a preview of the labels as they design their labels.